Discussion in 'Cardiff City Forum' started by Joecity, 15 Apr 2019. Is well on fire. Doesn't look good. Ooof. Renovation work has been going on there. Someone is in for the guillotine. Bloody hell, that is a right catastrophe. The main bit is made of stone...and stone don't burn easily. 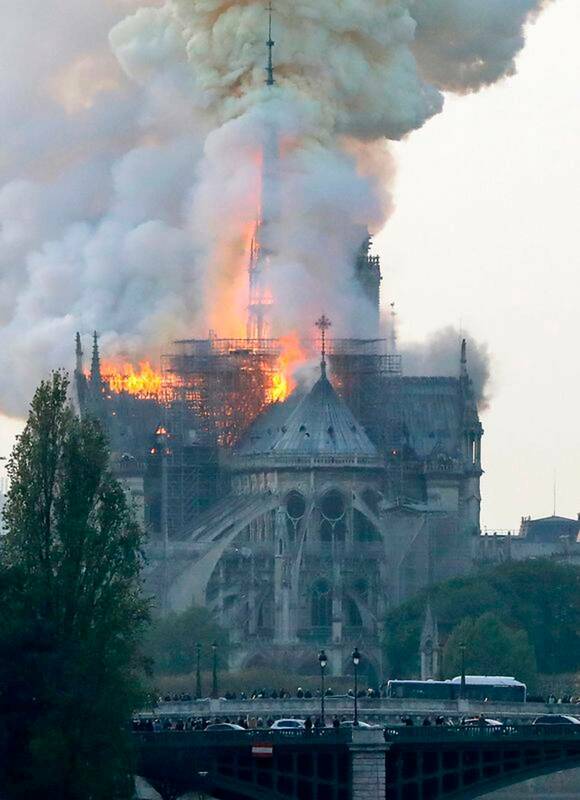 That roof's probably fucked though, as is the builder who was doing work on it at the time of the fire. Them yellow vests will guillotine his neck pronto. It's starting to fall down some of it. The roof like. Oooh Lord. Someone is getting lynched. Christ. That’s one of the most visited buildings in the world. It’s crazy how something like this can happen. That's a bummer which ever way you dice it. Been in there and larked about outside doing Quasimodo impressions n that on a school trip. A bit of disaster is this. No one dead though.